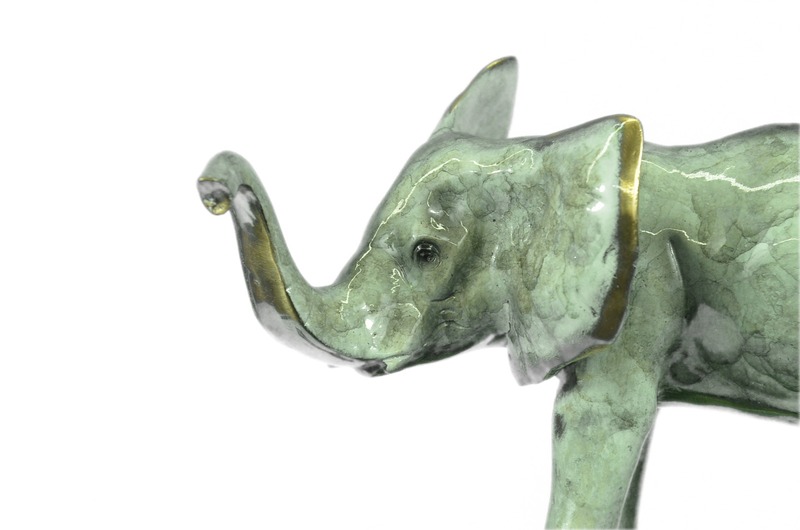 This Happy Elephant Lifts Her Trunk And Swings Her Tail Letting You Know She Is In A Blissful Mood. 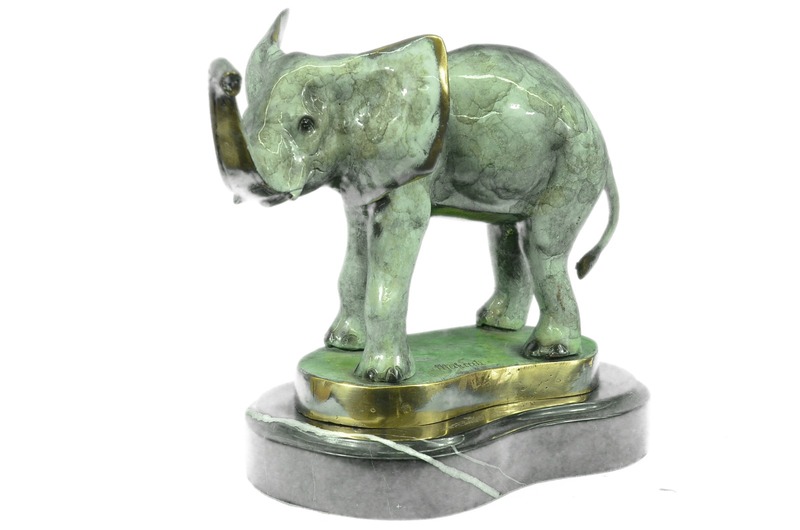 She Lifts Her Trunk And Exposes The Underside Which Is Adorned In A Gorgeous Shiny Gold Patina. She Is An Innocent Little Thing With Small Beady Eyes And A Sweet Face. 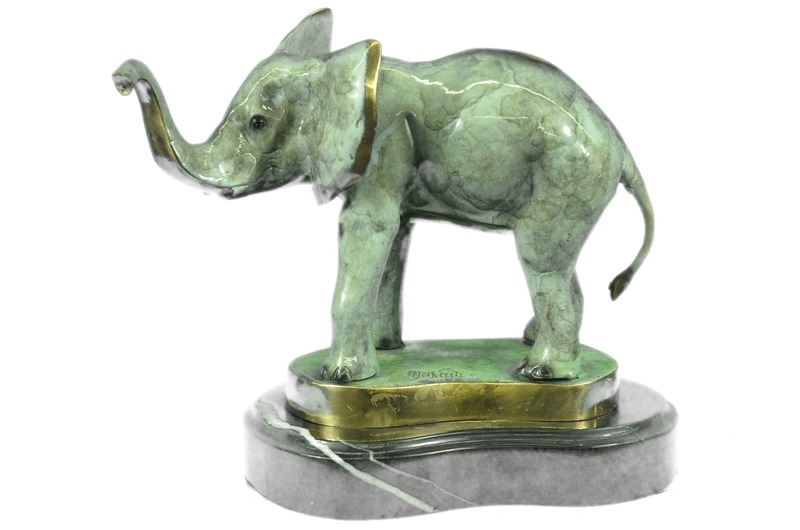 She Is Young And Curious And Her Tusks Are Just Coming In. 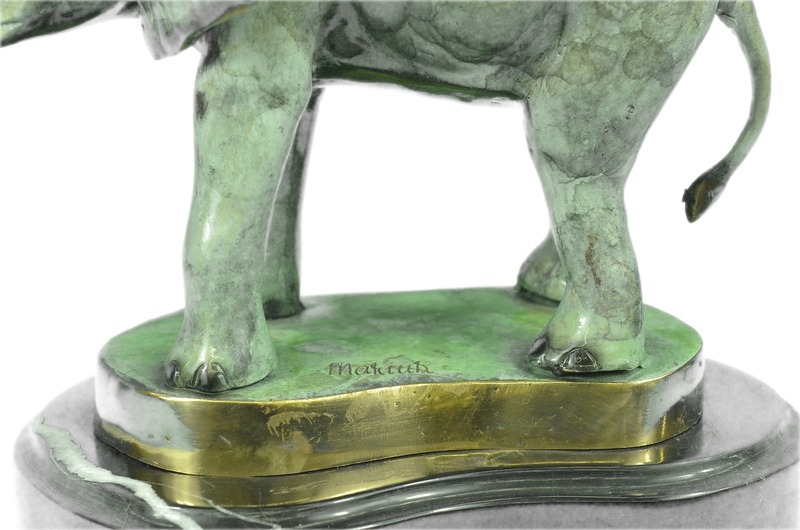 Her Colored Patina Is Absolutely Gorgeous Varying In Different Tones Of Black, Gray, Green, And Gold. 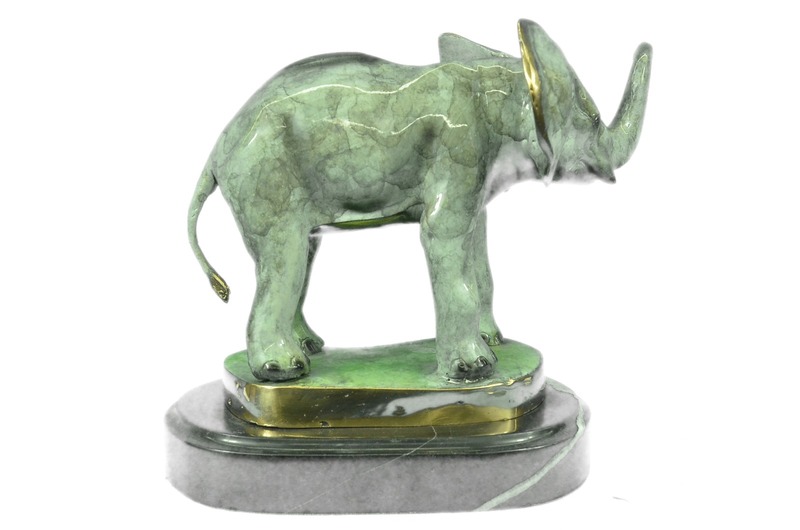 The Marble Patina Gives This Sculpture A Soothing Feel For The Viewer’S Eye. 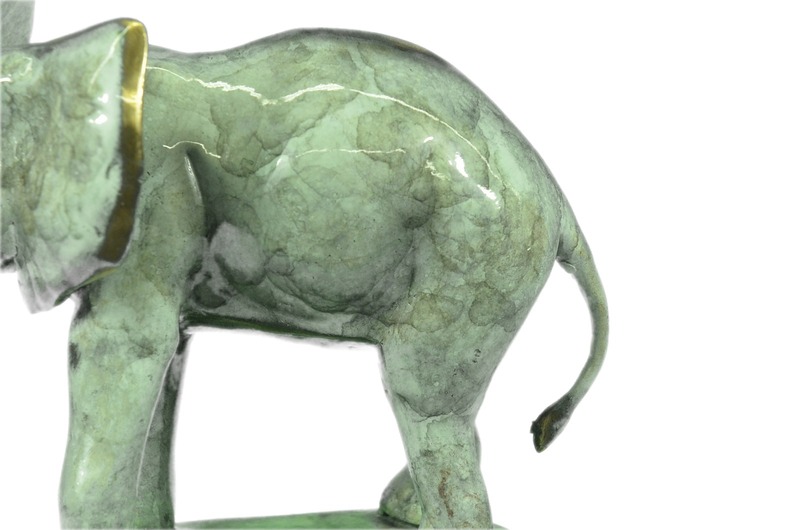 The Gold Highlighting Of The Ears, Back Bone, Tail And Trunk Give This Sculpture A Classy Touch. 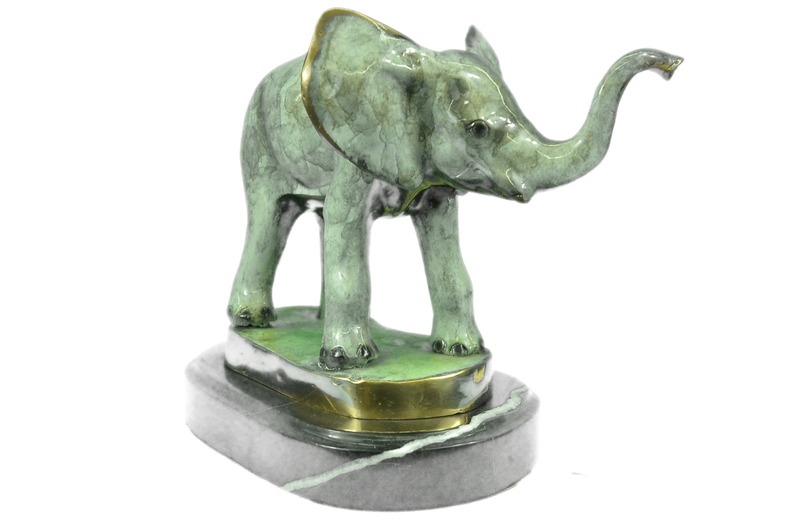 This Elephant Is The Perfect Gift For The Animal Lover You Know And Will Be A Great Addition To Your Home, Office, Or Studio! 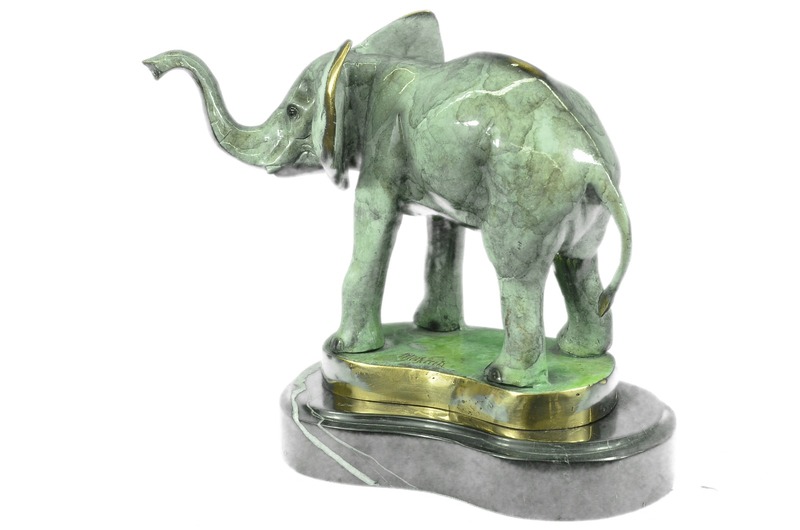 This Sculpture Was Cast Using The “Lost Wax Method” And Is Mounted On A Marble Base. 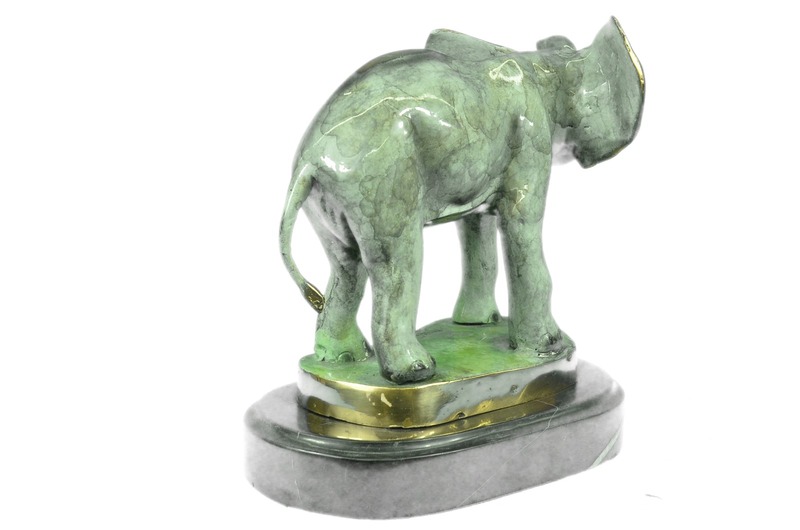 This Is An Original Limited Addition Sculpture Signed By The Artist Marius.